Bird watching as a hobby has long been contested by the birders, saying that the two are not in any way the same. While birdwatchers do such as part of an activity during recreation, birders are into it with intense dedication. May it is in the UK or in the United States, birders say that what they are doing is far from just a pastime or a relaxation thing. For them, they do such to study not only the species of birds but also their patterns. They don't base their analogies on mere observation and they invest in the latest optical equipment to strengthen their claims. Instead of going where the birdwatchers usually go, the birders are always on the lookout for new and unexplored sites, hoping to find more information. They would even allow a budget for travel, however far it will take them, just to expand their knowledge and to discern a lot more about the subject that they are most interested in, birds. These people go about bird watching by only observing with their eyes. They may also opt for binoculars but aren't really focusing on the technology. They wouldn't care if their apparels are not the latest in the market, they can even go about without those gadgets. What's important is that they get a sense of fulfilment from what they are doing, they get to relax, see the birds and enjoy the sights. The birdwatchers couldn't care less where they do their stuff. They would even do it in their own backyards or just go to nature reserves nearest to them. If they happen to be on vacation, they can do it wherever they are, whenever they please to do it. These people have the love for the birds but don't really want to take that feeling further by going the scientific route, because by doing so, they might miss out the fun that they intend to have. Bird watching on regions that have temperate weather are most active in the spring and fall migrations. During such time, the widest array of birds could be seen as these birds relocate northbound or southbound in trying to find nesting sites. For the hobbyists and professionals, it is advisable to do the act in the early morning where the birds are looking for food. This way, observation can be done at a lengthier time and you can see them easily while they are onto their task. This type of bird watching is for people who would go near coastal areas to find watchpoints like the headland to be able to see the birds flying over to the sea. The birds that can be observed from such are called the pelagic kinds. The pelagic species of birds can also be observed when one is aboard a seagoing vessel. Whether you're a birder or a birdwatcher, you should always look out for the well-being of the birds and also have some positive notes on what you are doing. You can lead the way to promote cleanliness of the environment so that the natural habitat of this kind wouldn't be harmed. Also, you should be vigilant about the latest technology when you use them as part of the activity, that it won't affect the birds in a negative manner. Bird watching may just be a hobby but one that must be done with passion and concern for the birds and their welfare. Bird watching can be a very fun and interesting activity once you are familiar with the thing that you need to know when doing it. The first thing that you need to familiarize yourself with bird watching is identifying the bird that you will watch. This very task is quite challenging because it is not easy to identify them especially when they are so many feet away from the ground. Since birds are energetic and active animals, you need a clear and quick eye to be able to see as many details possible in such as a very short period of time. Aside from being too far away from you, other problems that you might encounter—especially if you are a first-time bird watcher—is the dim light shaded by trees, the glint of sunlight that can affect your sight, and the hidden places where birds go to play. So, when you are into bird watching, it is always best to have a general knowledge of bird's attitudes and observe them carefully. You might not name them properly the first time but you definitely can the next time if you pay proper attention to observing them. - Always keep on eye on one bird. Bird watching is more effective if one uses a binocular. When you are bird watching, try to spot only one bird that catches your attention. Once you have seen one, never take your eyes off it because it might fly to a place where you cannot see it. In most bird watching centers, beginners are given a field guide in a form of a booklet or brochure so they can identify the bird once they have seen one. Once you know what is it, take time to observe its physical details as well as its behaviors and mannerisms. Make sure that you observe the bird's movements, markings, feeding habits, songs, color, and size so you can easily identify it the next time you see it. - Make sure that you listen intently to the bird's calls and song. Although listening for a bird's song is easy, it doesn’t stay long in a person's memory. What you should do is to listen intently when the bird calls or sings and play the bird's song in your mind repetitively. Listening to a bird's call and the song is important because it can help you identify the bird even without seeing it. - Take time to estimate the bird's shape and general size. The average shape and size of the bird will give you a huge clue in finding out the family it came from. In bird watching, make sure that you assess its overall appearance and take note of its approximate size and shape. Once you can tell from the size and shape of the bird what kind is it, then you are doing good. - Pay attention to the bill characteristics and facial markings of the bird in sight. This is one of the hardest things to do because the average of almost all birds is small. They also keep on moving so it will be hard to take note any unique markings on their faces. It is also equally hard to take note of characteristics of its bills because most birds keep on pecking all the time. To get these details, spot a bird that doesn’t fly around that much. Once you found one, start observing it head by looking for any distinguishing hue patches or color strips. These can be present in their eye lines, crowns, napes, and arcs or in the rings. People birdwatching on the Barrier Island area of Indian River County. Friendship, companionship and sheer pleasure, these are some of the benefits to be gained from the hobby of Birdwatching or Birding. In this article, I review six key reasons why birdwatching fascinates around 70 million Americans and countless more people around the world. he simple advantage of being outdoors and breathing fresh air. Secondly, getting to good sites for birdwatching often involves walking or hiking and hill climbing, all good for the heart, lungs, and circulation. Another significant plus point is exposure to sunlight. This promotes the production of vitamin D. Due to our modern lifestyle; many of us are deficient in this essential vitamin which helps strengthen teeth and bones. Sunlight has also been shown to combat depression and help protect against disease. Companionship. The public image of birdwatching is that of a solitary birdwatcher spending the day in the field then returning home to a lonely supper. As with any hobby, there are some people like that - but not many of us. The majority of birdwatchers are friendly, convivial folk who love to go out birding with each other. There are popular birdwatching clubs in just about every part of the world. Companionship plays a central part in the attraction of birdwatching. Pleasure from nature. Birding brings us back in touch with a more natural way of life, one that we can lose sight of in our urban homes. We are struck by the vitality of nature, the rhythm of the changing seasons and the beauty of the landscape. We can see and feel all of this firsthand, not via images on a TV screen. Family. Many family members go birdwatching in pairs or larger groups. A father teaching his son or a grandfather showing his grandson the tricks to tracking down that rare bird. Or showing him the basics of identifying and naming our more common visitors. All of this goes to strengthen the bond between generations and knits families more closely together. Finding that elusive bird. Wired into our genes, particularly those of men, is the desire to hunt. This gives us the thrill of the chase, the satisfaction of finding our prey. Birdwatching is the civilized expression of these feelings. It provides us with the emotional charge while preserving, indeed prizing, life. It is no coincidence that many birdwatchers strongly support efforts to save the environment. Friendship. Valuable friendships are made from striking up conversations with fellow birdwatchers. We already have our hobby in common so breaking the ice is much easier than with other people. Keeping in touch with news of sightings, our successes and failures and our plans all help to maintain and develop our birdwatching friendships. In summary, there really are lots of positive reasons to be a birdwatcher. If you already are one, congratulations on being part of our family. If you are thinking about becoming a birdwatcher, you can start small. Observe your local birds; begin to identify them and their songs. Above all, start now - you'll find birdwatching to be an exciting and rewarding hobby. Bluetit One of the many species of wild birds which we attract to our garden bird feeders. There are many reasons to create a summer garden the best, however, as most gardeners are well aware is for your personal enjoyment. For bird lovers everywhere it is quite possible to have a fabulous summer garden that appeals to the bird lover in them as much as a lover of beauty that exists within us all (there are of course a few disagreements along the way as to what beauty is and is not). If you are a bird lover you should seriously consider making efforts to make your summer garden more attractive to your fine feathered friends. There are several ways this goal may be accomplished. First of all birds like water. They need to drink water and they actually enjoy playing in the water. With this in mind make sure there is some sort of water source available for the birds to enjoy in your summer garden. Some excellent choices would be a water fountain, a goldfish pond, or a waterfall. The key in this is to make sure that the water source is not a stagnate water source as you want to attract birds and not mosquitoes. Other than that, have fun creating a neat place for your bird pals to frolic and play. As far as attracting specific birds, you will need to research the specific birds you are interested in attracting to your summer garden and plant accordingly. The variations are virtually limitless and far too numerous to include in this brief overview. Be sure to invest some degree of time when planning your garden to check into favorite birds and the flowers or trees they prefer. You should also take the time to study their predators and avoid creating a friendly atmosphere for the predators to hang out in your summer garden while you are doing your research. Another way to attract birds to your summer garden is by creating an environment in which they feel safe and at home. Plant trees that these birds favor for building nests or place birdhouses in your garden that will provide a great potential home for these birds to make their own. In addition to planting flowers and trees that will attract various birds to your summer garden, you should also take care to attract food to your summer garden for these desirable birds as well. If you aren't sure about attracting food for the birds you might want to consider providing food for these birds you are hoping to draw into your summer garden. You can accomplish this by filling bird feeders (make sure you use feeders that are designed to prevent squirrels from stealing the food intended for your birds) with foods that attract the birds you are most interested in attracting to your lawn. There is no right or wrong way to create a peaceful and relaxing summer garden. If you wish to add to your enjoyment of your garden it is quite possible to do this by taking a few extra steps and landscaping with the birds you enjoy watching in mind. The steps above will help make your garden an attractive place for favorite birds to play and build their homes. Incorporate them all into your summer garden for best results and the opportunity to live in harmony with the birds you enjoy watching. Many questions are asked by people considering a Blue And Gold Macaw as a pet. 1. Will my bird do things I find attractive? 2. Will he be loving, talkative, intelligent, affectionate, playful? 3. How about my kid and all the other family members? Will a Macaw be likely to get along with them? 4. Will I be able to train a Macaw? 5. How difficult is it to teach a Macaw to talk? 6. Will a Macaw be friendly to other people or just me and my family? Will he become attached to only myself? 7. How do I avoid my Macaw becoming a biter? The simplest answer to all these questions of Macaws will come down to this. If you properly socialize a Macaw all things are possible. It is mostly up to us as owners and caregivers to be sure our Macaw meets not only our own expectations but his maximum capabilities. Other than the actual physical care of each bird, food, living conditions, living space, and exercise. Socialization may the most important word when talking about Macaw parrots or any parrot for the matter. The Macaw cannot socialize himself. If you believe it takes a village to raise a child. Then it takes a state to socialize a Macaw. It takes a dedicated state of mind at the very least. If you intend to buy a baby Macaw Blue And Gold or any large Macaw. It is highly recommended for everyone to do business with a trusted breeder if at all possible. Breeders begin for us the entire socialization process. Around the sixteenth day after hatching most breeders begin hand feeding. A baby Macaws eyes open about the nineteenth day of life. The importance of recognizing humans as the source of food, care, affection along with fun and entertainment cannot be overstated. We have an advantage if humans are perceived as all important and pleasurable to a Macaw. Before purchasing a Macaw it is extremely important to understand. 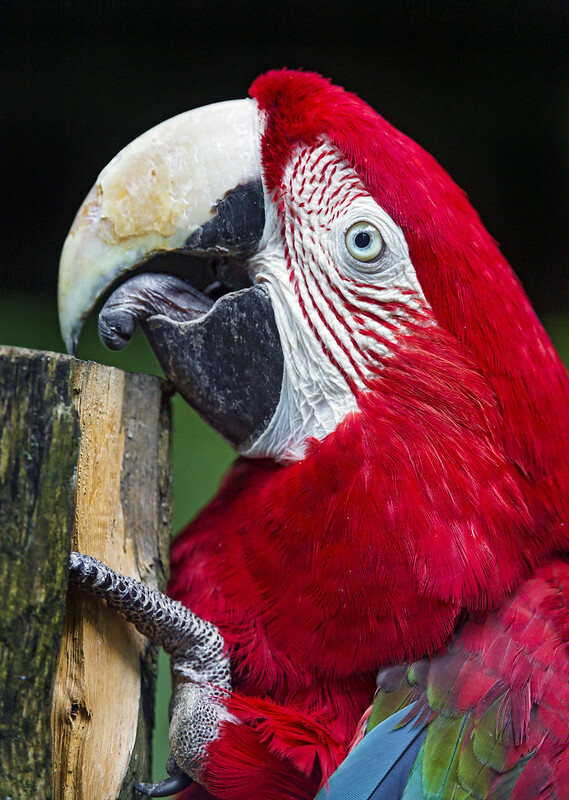 Macaws and parrots, in general, are not domesticated animals as are dogs and cats. Humans through their actions hand feeding, comfort, and care simply are associated with mom and dad then become members of the bird's flock. The beginning processes of the breeders get us off on the right foot. However, it is extremely important that the process is continued and expanded consistently by new owners. The socialization process of a Macaw is a lifetime commitment and should not ever be discontinued. As important as constant care and handling by all family members and including friends truly is. Socialization also includes an introduction to new and different places and new situations. Often unfamiliar situations and locations are the cause of an upset or frightened bird. Subjecting a Macaw to different locations and situations early in life is every bit as important to you and the bird as is constant handling. Macaws can be upset and frightened easily. The gentlest Macaw upset or frightened can be a real handful to deal with. As the owner of a Macaw, it is a must that your bird trusts you in any and all locations and any situation. Exactly how your Macaw or parrot turns out is more up to you than it is the bird. Remember both good behavior and bad behavior are learned. Most of what is learned will be up to you. You brought home with you a beautiful Macaw, you’ve done your research and got it what it needs to be a happy bird. Now its time to train your pet bird to do all the neat tricks you’ve adorned from a distance in envy. Where to start? Here are some basic training tips for those of you who recently brought in a feathered friend. The more you spend time with your pet bird the more you will become familiar with their unique personality. Like humans, these birds possess unique personalities that tell you how they feel in their own special ways. 1. Have you ever had trouble concentrating during long class hours or business meetings? Like people birds get bored too, so keep the training session short. 10 minutes are about the ideal length in retaining your bird’s attention. 2. Comfort and familiarity are important to birds too if you’re using props to train your bird then leave them near the cage and let the bird warm up to those items. 3. Once again, birds are like people in that they can’t concentrate very well with distractions. Turn the TV and your stereo off when you’re training your pet and try to find a quiet place away from the cage. If the bird, however, has some insecurities or is frightened you should probably keep the bird near the cage to let it feel secure. 4. We all remember things better when there’s a reward involved. (Remember that gold star you got for turning the homework in on time back in elementary school?) Find a treat that your feathered friend will be rewarded with if it performs a trick correctly. The treat doesn’t necessarily have to be food but if you do choose to give your pet something to eat, make sure it’s small and something that is easily consumed. Though praises or a good head scratch is always preferred. 5. Consistency is the key to success. Try to train your bird same time every day. That way your bird has something to look forward to and can get used to the routine. 6. Try to avoid your pet from developing bad habits. Biting can be avoided by keeping your hands out of beak range when training your bird. That way your bird won’t be as tempted to take a bite out of your finger. 7. If your bird starts to misbehave don’t get intimidated, remain calm and stay close until the bird calms down. You can leave when the bird has stopped stirring, this way it teaches your pet that acting out won’t get it what it wants. 8. Remember that each bird behaves differently and all birds require patience and commitment. Don’t expect for your bird to behave like a Harvard student after one or two training sessions. With abundant affection and consistent training, your bird will learn to build bonds with you and perform tricks. Budgies are very easy to maintain. Therefore, often you can buy two or more budgerigars. Some of them can be tamed or can be taught to talk. They can attach to a specific person of the family, especially those who care for them. Budgies are getting angry when do not see the owners for a long time and enjoy when are surrounded by family. Adopt a budgie if you really love birds. It must be left free to fly around the house. Buying a parrot is something that must be done with responsibility. If possible, choose a parakeet from breeders, already trained to come to finger and eat out of hand. Such parakeets have greater confidence in the people you befriend him fast. 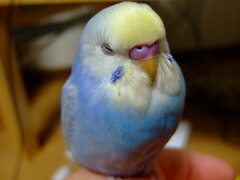 Budgie breeders can provide details of parakeet care. 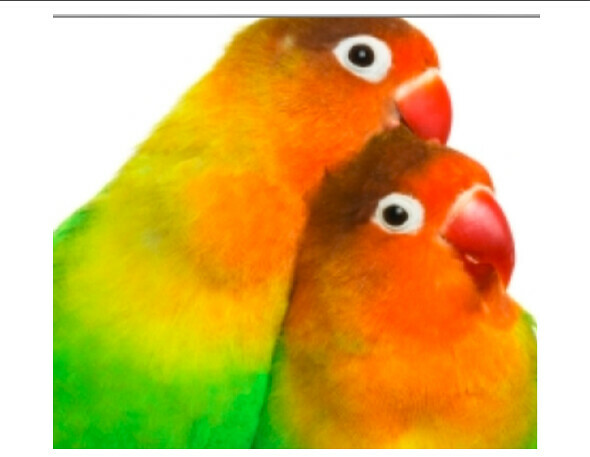 Such parakeets have greater confidence in the people, and you quickly will become his best friend. If it is very scared at first, do not worry! Show him that you love him, act gentle, talk with him, but stay away until he gets used to the new space and others. Make gentle gestures around parakeets, no yelling, no music or TV so loud, do not suddenly shake the cage, do not let the dog or cat approach to his cage. Pets are always a danger to birds. Cover the back of the cage. If it is too much space around the cage, he will fear the various dangers that can come from all directions. Do not put your hand in the cage for him, do not try to catch him. Change food and water and talk to him until he feels that he/she got used to you. You can try to approach him your hand, teach him to climb on your finger or to take a seed on your finger. Whatever is doing wrong the bird (burrows seeds, bites, screams, runs away) do not hit the birds. Budgies and birds generally do not understand hitting, spraying water, screaming etc. as methods of correction. To teach a parakeet to talk repetition is needed. Budgies are not known for their skills of talking and most of them do not speak. When you leave the budgie to fly freely through the house do not forget to close the window and pull the curtain. Budgerigars do not understand what means the glass of the windows and try to fly through them. Too low or too high temperatures affect bird health. Budgie cage should not be placed near air conditioning or fan. Electrical cords are very dangerous. Budgies can fray the cable and this can be fatal. To avoid these accidents mask the cables. Find more details visiting our budgerigar parakeet care website. You can also check about budgerigar breeders and budgie cages. Are Peanuts Good For PET BIRDS Or Not? There is no arguing that peanuts contain a lot of essential ingredients like fiber, unsaturated fats, protein, amino acids, vitamins, and minerals. So this is probably one possible answer to your question are peanuts good for pet birds? It will be good to think about feeding your pet with them because there are also some possible negative answers. Aflatoxin is in fact produced by Aspergillus flavus. It is known that Aflatoxins cause severe liver damage for humans and animals and they are carcinogenic (cancer-causing). The level of toxicity depends on the amount of toxin ingested at one time, age, size, accumulation of the toxin, etc. If the officials detect contamination after inspecting all peanuts for sale in this country, they reject them. The USDA and The FDA determine the safe levels for Aflatoxin in human foodstuffs and if the product is dangerous, they ban it from going to market. But this safe amount of traces of Aflatoxin in pet food is not very clear, especially for such small creatures as birds. So the question- are the peanuts bad for your pet birds?- still remains unanswered for all pet owners. Some of them continue to feed their pet birds with peanuts, of course, the amounts are not big and they announce that they haven’t found any ill effect. They assume peanuts as high-energy nutritional and because their birds love them and have fun, they outweigh the risk. 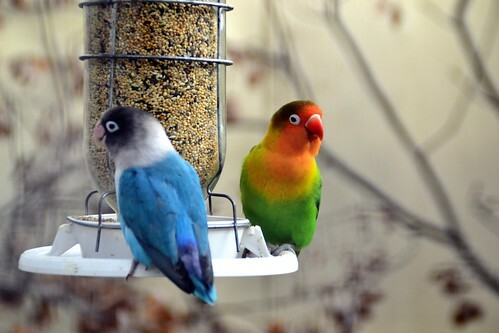 Consider carefully the risks and benefits of using peanuts as food for your pet birds and the decision is up to you. Finch bird feeders are a remarkable way of luring finches to your garden. These feeders can get the seed-eating birds right onto your porch if you want. You can choose from a wide array of finch bird feeders. Most bird feeders are specially designed to meet the requirements of a specific type of bird. Finches will definitely benefit from this type of bird feeder. Finches belong to the family of Fringillidae, under the Phylum Chordata. These birds are easily distinguishable with their medium-built bodies and physically powerful, stumpy beaks. Their manner in flying is somewhat bouncy in nature, thereby, creating a gleeful appearance in the environment. Most finches are good singers as well. With that in mind, finches are said to be great attractions in one’s backyard. Most finches would love to flock together in various beautifully crafted finch bird feeders. The indistinguishable color (bright red) of the House Finch’s chest and their very genial manners are the ultimate factors that make them feeder darlings. Goldfinches can also enhance your feeding station as they flock hungrily in groups of 30 or more. Finches are generally seed lovers. They feed on almost any type of seeds but would love to devour on the seeds of trees, such as pine, alder, maple, birch, sweet gum, and spruce. The Nyjer seed is an all-time favorite of feeding finches during the winter season. Finch bird feeders can accommodate all of these seed types. They come in different styles and types consisting of gazebo feeders, seed finch feeders, and wooden finch feeders. In general, bird feeders are specially crafted devices set in the backyard or porch to provide bird food to various types of birds. Finch bird feeders are special bird feeders designed to provide seeds to finches since this type of bird are generally seed-eating birds. Choosing the right type of bird feeder is the number factor in luring birds to flock in the area. The position of the bird feeder, as well as the type of food, will also affect the chances of attracting certain types of birds. For instance, thistle seed finch feeder will generally attract finches that prefer thistle seeds. Thistle seed finch bird feeder features a drawn-out tube that can hold as much as one quart of thistle seeds. It has a see-through feature, which enables the owner to observe seed level anytime. Finch bird feeders can also lure other types of birds. Hence, you should not be startled if ever you get to see different types of birds flocked up to your finch bird feeding station. Most finch bird feeders are also best for cardinal birds, redpolls, siskins, and grosbeaks. Setting up a bird feeding station may not be so complicated. However, it is still important to consider some factors to ensure finch-feeding success. One of the most important factors to consider is the proper positioning of the finch bird feeder. Setting up a finch bird feeding station in your backyard is the ideal place since this is very conducive to most finches. However, it is also recommended that you place your finch bird feeder near your deck or window. In this way, you can easily observe and enjoy watching the finches as they gleefully enjoy their sumptuous meal. If placing finch bird feeders near the window is not possible, it is best to set the finch bird feeder in an area that is observable from indoors. It is also best to place finch bird feeders near the areas where the finches can easily fly to safety if any danger should take place. Competition is always at hand whenever there is no specific place for finch bird feeding station. Larger birds may flock the area, thereby, blocking the finches from getting their food. If you have a separate bird feeder for larger birds and a specially made feeder station for the finches, both parties will enjoy their meals as well as you will enjoy their company within your garden. So the next time you think about setting up finch bird feeder, try to consider these factors to enjoy bird watching. It is definitely one great experience you will never forget. African Grey Parrot "Psittacus erithacus erithacus"
A wise person once said that imitation is the best form of flattery, but some birds take this idiom to a whole new level. Almost every species of bird produces some sort of vocalization. Parrots are renowned for their deafening calls that can be heard for miles. Owls famously hoot, hawks scream, and crows caw. Ask any child, and he will be able to tell you what sound a turkey makes. Birds are even named for their distinct calls - the Whip-poor-will is a memorable favorite. Mockingbirds not only produce their own distinct call, but expertly mimic the calls of other birds. Mockingbirds have also been known to repeat the sounds of other animals, and even mechanical sounds such as car alarms. Scientists believe that the mockingbird's imitating calls serve to expand its repertoir, thus seeming more attractive to a mate. However, mockingbirds are limited to short, uncomplicated bird songs and noises. For example, the complex song of the Song Sparrow cannot be adequately copied, even by the most talented mockingbird. Closely related to mockingbirds, mynas (or mynahs) are known for their ability to mimic human voices. For this reason, the birds are sought after as pets. However, when it comes to imitating humans, parrots have emerged as the true bird-brains. While passerines such as crows are only able to repeat a few words or simple phrases, psittacines like budgerigars have been known to possess a vocabulary of almost two thousand words. Experts believe that parrots are particularly adept at "talking" because they are highly intelligent and naturally social. In the wild, they form close-knit social groups. When they are raised in our home, they view humans as part of their flock, and want to interact, entertain, and be entertained. Parrots therefore mimic human voices because it interests them and gains them attention. Many resources exist for parrot owners who want to teach their bird to talk. 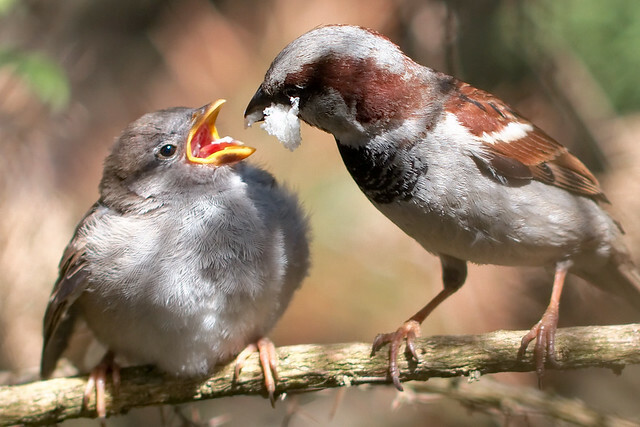 Generally, younger birds learn to repeat phrases more quickly than older birds. Early in its life, a parrot learning to talk will generally make unintelligible noises, not unlike a baby learning to speak. The more language the parrot is exposed to, the more he is likely to learn. Some owners have been successful by using pre-recorded CDs. Some species of parrot are more adept at learning to talk than others, and some owners never successfully teach their parrots to talk. One species that has consistently excelled at talking is the African Grey Parrot. One of the most famous talking African Greys was Alex, who was the subject of a thirty-year experiment by his owner and animal psychologist Irene Pepperberg. Alex not only exceeded the expectations of the science community with his impressive vocabulary, but pushed the boundaries of what is understood about animal intelligence in general. By the time he died in 2007, he had a vocabulary of 150 words, and understood abstract concepts such as "over," "bigger," and "different." He could identify shapes, colors, and quantities up to six. Alex is immortalized in Pepperberg's book, Alex and Me. 1. If you want your bird to live a long life it is important to feed it in a nutritionally sound way. Birds often die too young because they are malnourished or they pick up a disease because they were not being fed correctly. 2. Birds who are part of the parrot family should be fed a variety of foods. Seeds are used by most as the only part of the bird’s diet and this is a mistake. Seeds have too much fat, not enough protein and almost no vitamins. Seeds should not make up more than 50 percent of your bird’s diet. 4. Beans and legumes, as well as fruits and vegetables, are good sources of nutrition for the pet bird. It may take quite awhile to get your fine-feathered friend to except these changes, (up to a year) but it will be the best thing for your bird. 5. When you get ready to make these changes do it slowly. Offer the fresh foods twice a day for about an hour at each feeding. Don’t leave the fresh food in the cage longer than that. It becomes unappealing and can develop bacteria. 6. Feeding your bird twice a day is a good idea. Your bird will become hungry between feedings and this practice produces a more active bird. With a healthy appetite, the bird is more likely to try new foods. You will also be able to keep a closer watch on how much your bird is eating. (If your bird is sick, laying eggs, caring for young, or nesting they should always have food available.) When food consumption drops, a bird is usually not feeling well. 7. If your bird is having a hard time getting used to the new diet, try warming the food or cooking the vegetables. It will take a little time to discover what works for your bird. Offer seeds only at meal time and along with other foods until you see that your bird is eating enough to stay healthy. Birds often do better with new diets when they are fed outside the cage. 8. Water is the final key to your bird’s nutritional success. The water must be fresh and all bowls should be thoroughly cleaned each day with hot water and soap. Disinfect these bowls with bleach every week. Be sure all the bleach is totally rinsed away from the bowls. Adding a multivitamin to the bird’s water daily is a good idea until you know the bird is getting enough vitamins from the fruit and vegetables. Birds are delightful pets and feeding them properly allows them to enjoy a healthy lifestyle and this practice can extend their life expectancy.